Manchester United may have fallen short of the Premier League crown last season by a country mile, but it seems as if their players still have the belief to go all the way in the coming season. United defender Chris Smalling revealed in an interview that the lads are confident heading into the new season. The defender claims that his teammates believe they can even win the Premier League, largely due to their incredible performance against eventual champions Manchester City at the Etihad Stadium. 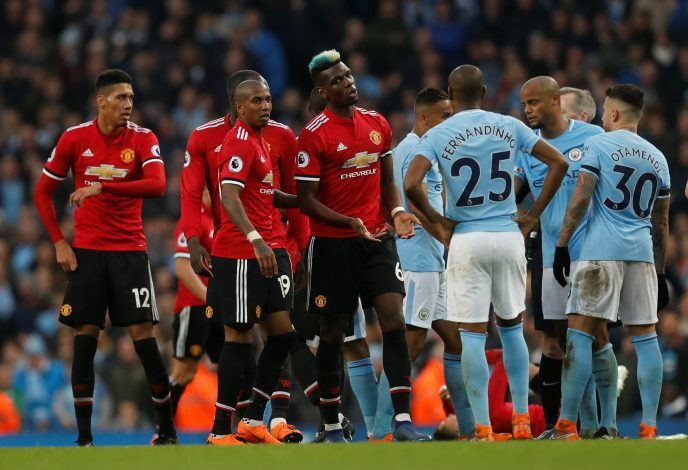 The game Smalling is referring to was played during the business end of the season, and was significant because City could have sealed a Premier League triumph against their derby opponents at home, and embarrass their arch-rivals in front of a raucous crowd filled with sky blue shirts. City looked on course for just that at half-time, racing into a 2-0 lead thanks to goals from Kompany and Gundogan, but perhaps let off some steam in the second half with dire consequences. United came out all guns blazing, and Paul Pogba scored a brilliant brace before Smalling himself popped up with the winner from an Alexis Sanchez free-kick. Speaking in the interview, Smalling was quick to highlight that special day as a real boost to the confidence for all involved with Manchester United. “We beat City at the Etihad so we know we can do it,” he said. “When we played against the top teams, I thought we performed well whereas in other seasons we maybe let ourselves down against the top teams. It is true that several top-class players have joined the ranks at United’s rivals, with Manchester City bringing in Riyad Mahrez from Leicester City, and Liverpool signing Alisson Becker, Fabinho, and Xherdan Shaqiri. The Red Devils have recruited Fred in this window as a signing of note, but are keen to employ a few more players before the end of the window on Thursday.